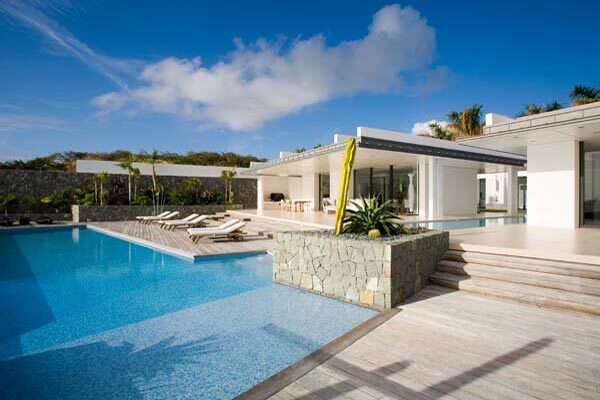 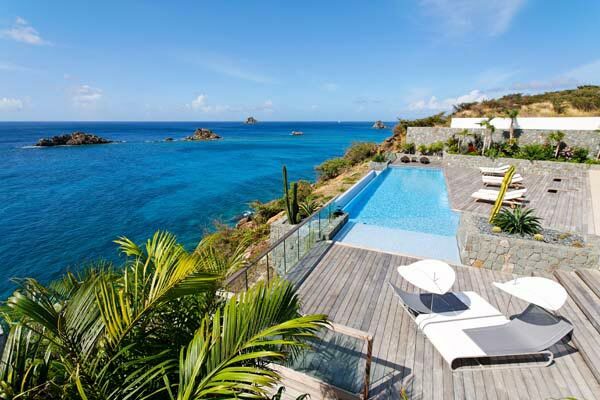 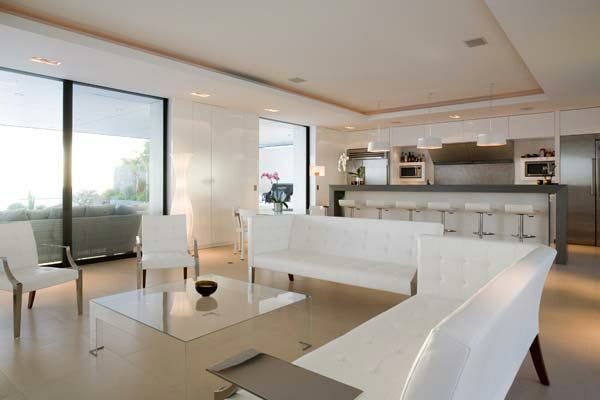 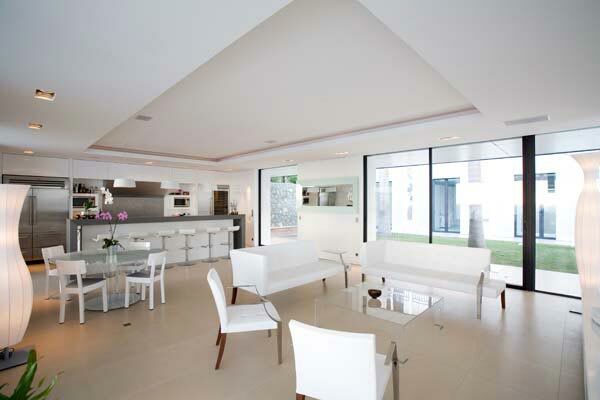 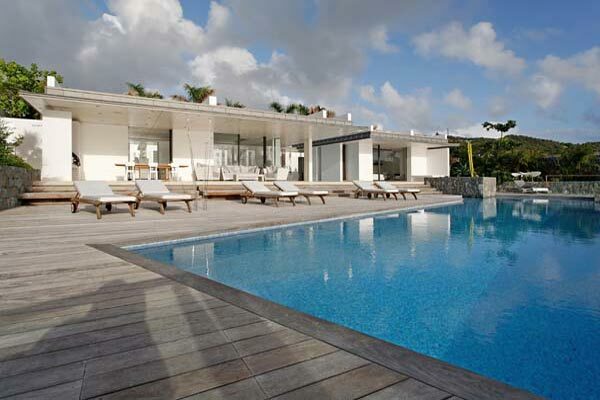 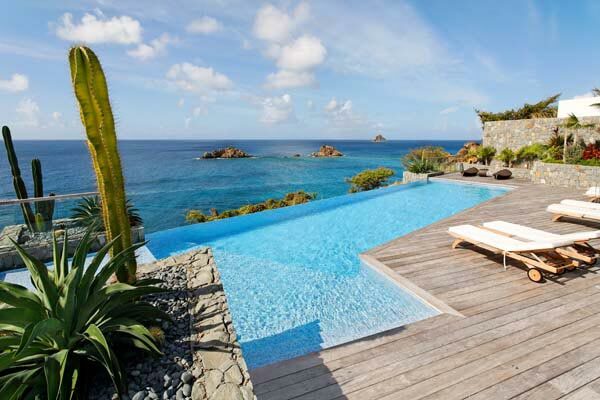 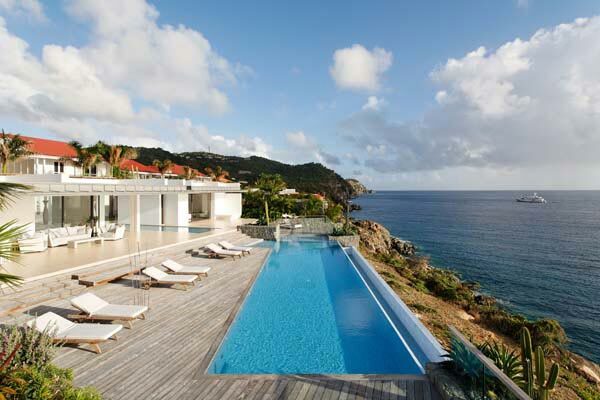 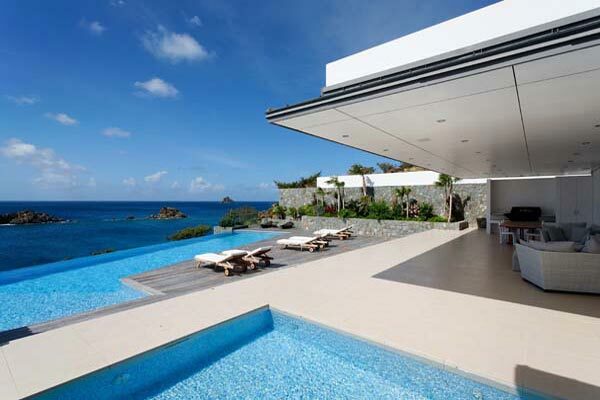 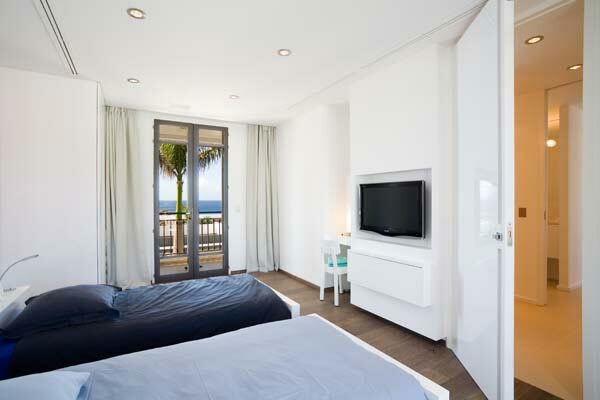 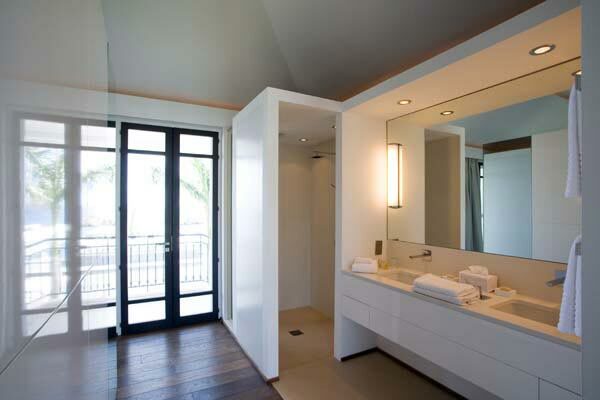 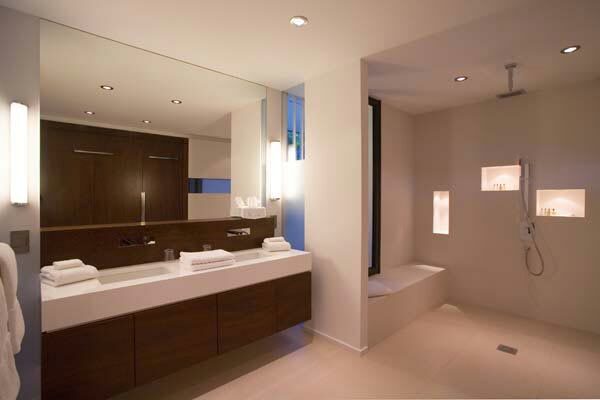 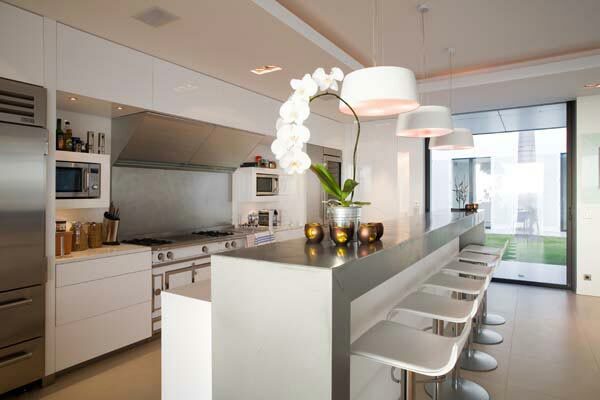 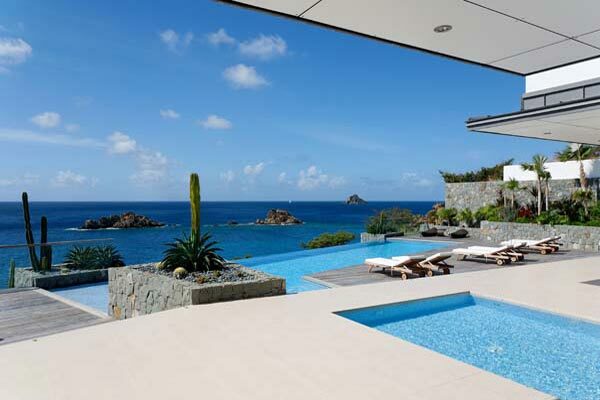 Villa Villa Roxanne is located in Gustavia, St Barts. 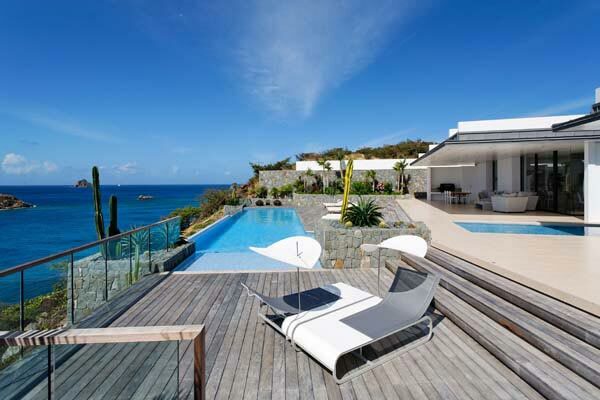 Enjoy the beachfront bliss in this lavish villa. 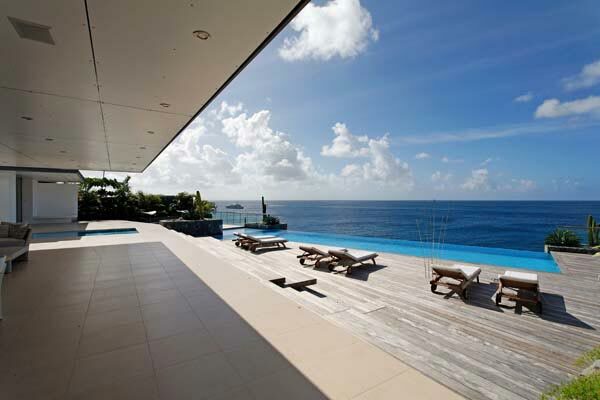 Step outside and enjoy the magnificent ocean view. 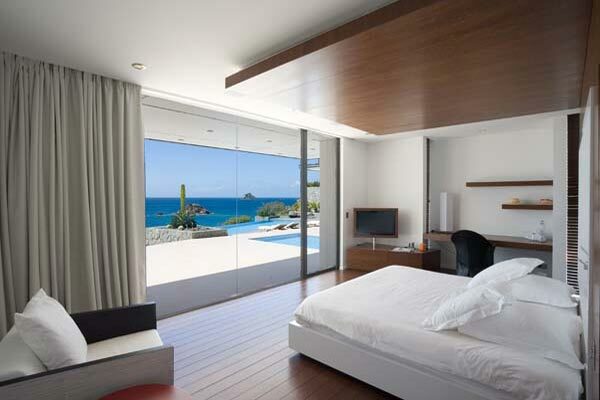 Large Master bedroom. 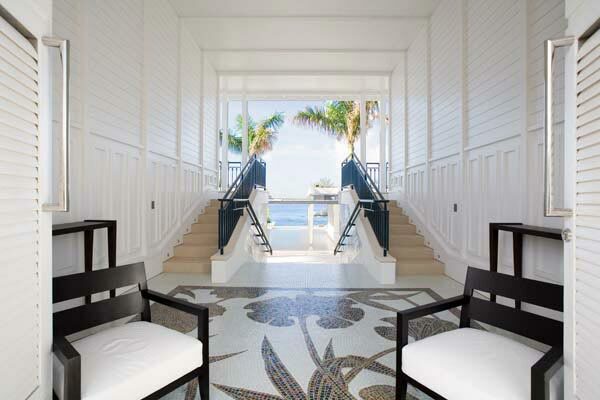 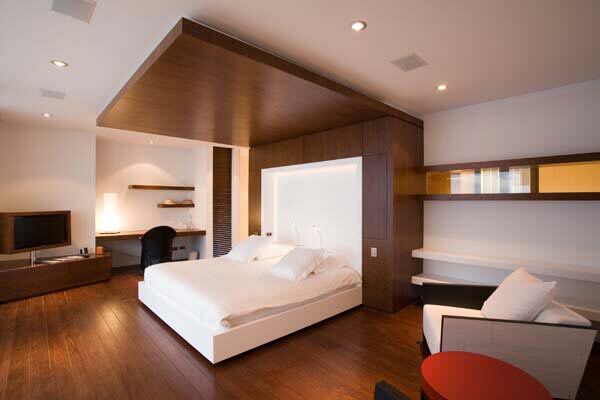 Wooden floor with white and brown tones. 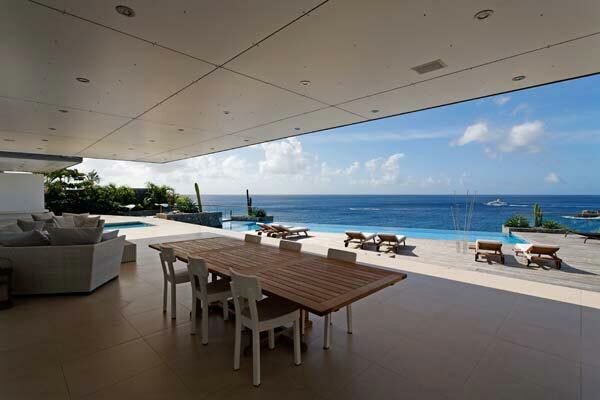 Opens onto terrace and view. 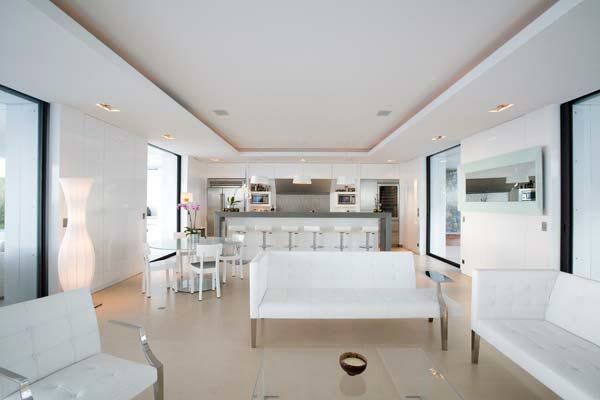 tones. 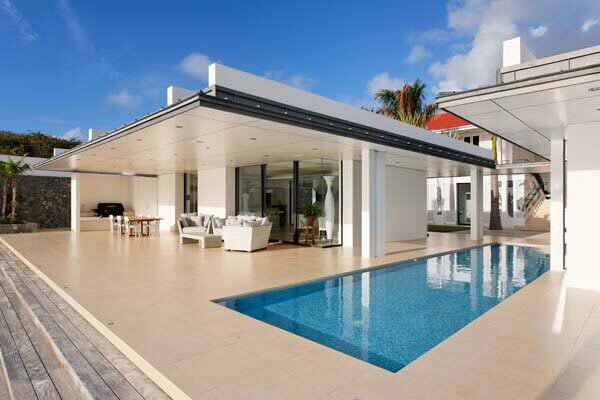 Opens onto the interior patio.